My British neighbor has been anxious for days. He has been following up on the news on the television and internet. He has a feeling of imminent disaster. He has forgotten all about the Brexit and his current and future concerns. He ignored the conference of the conservative party and daggers hidden behind smiles. He is preoccupied by a much greater and more serious issue. What will happen to the Barcelona football club if Sunday’s referendum ended with the declaration of Catalonia’s independence? That would be a disaster. The prestigious team will no longer be part of the Spanish league and it will also no longer be part of the European league that has cemented its status as a major club. My neighbor is very serious. He believes that a handful of Catalan politicians do not have the right to gamble with the fate of a club that is considered one of the symbols of their modern history. He also does not recognize the right of the voters to determine the fate of this success story. This issue is no longer about a city or a region. It is about those who loved the vision of generals, who brandished the club’s flag. He said that peoples should not be swept by national and popular tensions every time ballot boxes are opened. The Catalans should remember that some of those who achieved glories with Barcelona FC came from other nationalities and played under different flags. I tried to persuade him that this issue is greater than the fate of a football club. He said that he is not worried about that. The Europeans have abandoned the habit of civil wars and of drawing borders with blood. The Yugoslav file was a passing incident and an exception to this rule. The institutions of the Old Continent have overcome world wars and the demise of the Soviet Union, whose remnants are gathering dust in museums. Furthermore, economic facts will soon cool the hotheads and break down the aura of the populists. My neighbor does not believe that Catalonia will jump off the Spanish train that it has been riding for five centuries. Its previous attempts have failed. In addition, it is standing in a good position and it is the best among Spanish regions. It also stands out from among European provinces. Its popular differences do not need to be underlined. Its successes are clear in the industrial, economic and touristic sectors. Its culture is not under threat and its capital, Barcelona, is a jewel in the European crown and one of the most economically and culturally dynamic cities. Catalonia’s story seems to be indeed odd. Have old wounds been reopened among its people? Have they coincided with the anti-centralism sentiment and the rise of the populists and their exceptional ability to influence followers through social media? Has globalization helped awaken small identities and this leaning towards isolation? Are these the same winds that have blown through Quebec and Scotland and which will blow again in Spain’s Basque Country if Catalonia indeed succeeds in gaining independence? The Catalans can use the excuse that international laws speak of the rights of people to determine their fate. It is clear however that this right is granted to people who are suffering under occupation or to minorities who are threatened by genocide at the hands of a bloody tyranny. This definitely does not apply to Catalonia. Of course, we cannot deny that Franco’s Spain weakened the Catalan voice and cracked down on their language and culture, but Franco is now languishing in the tombs of history. Every population or group has a wounds left over from history. Catalonia cannot speak of exceptional suffering in the past decades. It cannot compare itself to the Kurdistan region that suffered through the Anfal operations that left 180,000 dead and the destruction of several villages. Barcelona cannot speak of suffering at the hands of “Chemical Ali.” Madrid has not and will not stop paying the salaries of the Catalan employees. Catalonia is lucky that it does not carry such wounds and scars. Europe and the terrible Middle East cannot be compared to each other. We are part of the most fragile region in the world. We drink from the streams of fear and we teach that to our children. Our maps are weak as are our constitutions. If the winds blew away a dictator, the country will be overrun by countless militias. Every time a Kurdish leader speaks of independence, an earthquake takes place. Border drills are staged. Fears that other minorities will follow their lead. The drums of war start beating. Yesterday, European experts observed the Catalan referendum. They clearly said that Catalonia’s independence, should it happen, will not lead to the establishment of an independent state. Madrid considers the referendum unconstitutional and illegal. The European countries will not recognize any state that arises from it. Force is not the solution to confronting millions of voters. Force favors the extremists. Dialogue is the only option. Some experts believe that saving Spain’s unity deserves considering other options, such as a confederate system. It is likely that Haidar al-Abadi and Masoud Barzani followed the Catalan referendum. The two men know that our culture does not believe much in the tango, where each dancer has to coordinate his steps with his partner. They know that our culture does not favor a marriage between equals or permits a smooth divorce. All this does not however merit threats or preparing for war. Iraq and the Kurds have suffered enough. New bold ideas are needed. Saving Iraq is worth searching for several options, including possibly a confederacy. The story in Catalonia is greater than a match between Barcelona FC and Real Madrid. The story in Baghdad is greater than the tensions between Erbil and Baghdad. Admitting the failure of coexistence is a fatal blow to countries and their borders. Coexistence must be saved, even if that requires difficult decisions. It not yet too late in Madrid and Barcelona or in Baghdad and Erbil. 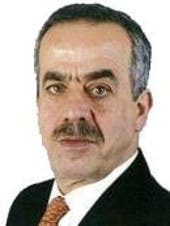 Ghassan Charbel is the Editor-in-Chief of London-based Al Sharq al-Awsat newspaper. Ghassan's Twitter handle is @GhasanCharbel.